As an activist, he advocated for environmental, economic, and health services for underprivileged communities. As an artist, he has been an artist for some time and has contributed to the arts in various different ways. Sotheby Auction House Director of Contemporary Art and History in New York, added to her art collection with some of Eriberto’s artwork. Founded two fulltime medical and one dental clinic, which are still providing services to thousands. Linda Vista Clinic and Logan Heights Health Care Center, San Diego CA. 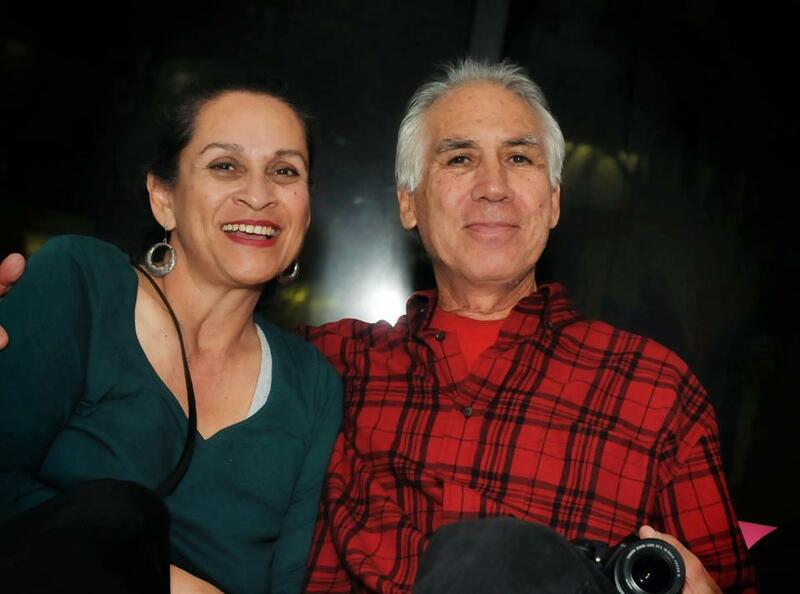 As co-founder of the Pico House Gallery and Art Director in Los Angeles, he helped many young artists’ careers and contributed to the arts in general through his art. 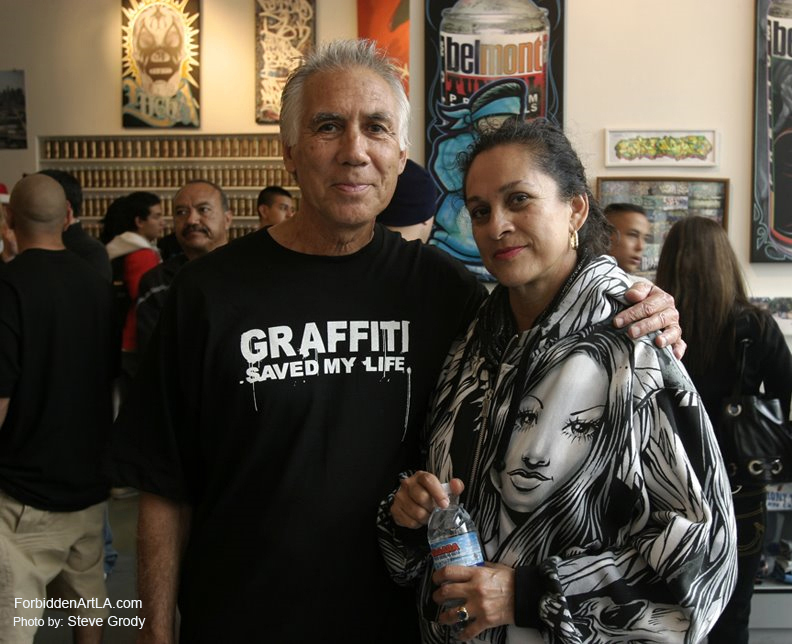 Produced the first major graffiti exhibit in Los Angeles and the First Tribute to Alfredo Siqueiros that drew international media attention and artistic acclaim. Like much of his work, in this drawing “Freaked Out,” it is a juxtaposition of color, line and shapes. The color pink in the background juxtaposed with the dark scribble of his main character, shows how bewildered and out of place this character seemed to be. He is in an urban setting that is almost frightening, as would be a large window cracking and breaking into pieces. It’s hard for Eriberto to try to give meaning or interpretation to his work, as he just seems to be a vessel for these inspirations. Drawn to people, in his characters sometimes all you see are the emotions, fears and at times, desperation of the people he has encountered in his everyday life. His characters are often missing the real structure of what is supposed to be a full body and often all you see are the souls and the essence of the emotions through the intertwined and interactions of the shapes, color and texture. The shading on his drawings is not to give the drawings three dimension but is just there for character and texture. Blink 182, Cypress Hill, Buya Tribe and others. Eriberto has contributed to the arts for many years; here is part of the story of the contributions and the exhibits that he produced at the Pico House Story . His dream is to now dedicate his efforts to create art and contribute to the ARTS with his art. Eriberto has featured artwork from artists: Carlos Almaraz, Alfredo De Batuc, Guillermo Bert, David Botello, Rudy Calderon, Elsa Flores, Margaret Garcia, Wayne Healy, Willie Herron, Rosalyn Mesquita, Francesco Siqueiros, Eloy Torrez, John Valadez and Patssi Valdez. Exhibit ran from February 25 – April 8, 1989. Patssi sold every one of her pieces she had at the Pico House. A curator from France saw her work there and soon her work was seen in France, Spain and Sweden March 21, 1992 Valdez full story in the L A Times. Other artists featured at the Pico House were: Alfredo Banuelos, Ulysses Diaz, Isabel Martinez, Margaret Guzman and Eriberto Oriol. Some of the Graffiti artists: Slick, Hex, Duke, Mandoe, Skill and others Burning Desire story in Frank 151. 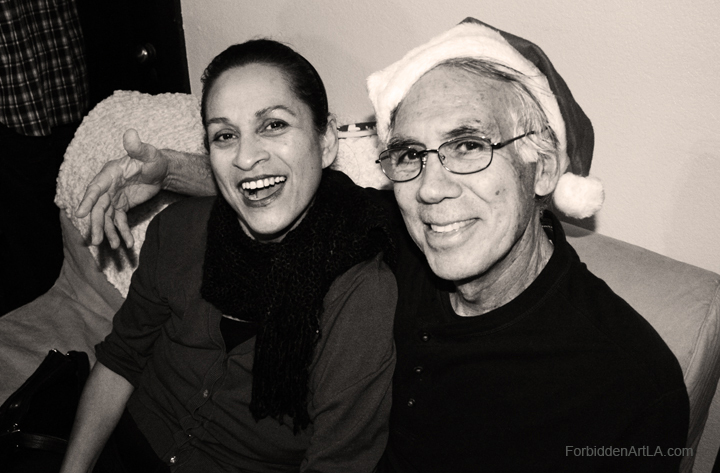 Born in Indio, CA, Eriberto Oriol grew up in the San Diego neighborhood of Barrio Logan before relocating to Los Angeles, his home now for over three decades. 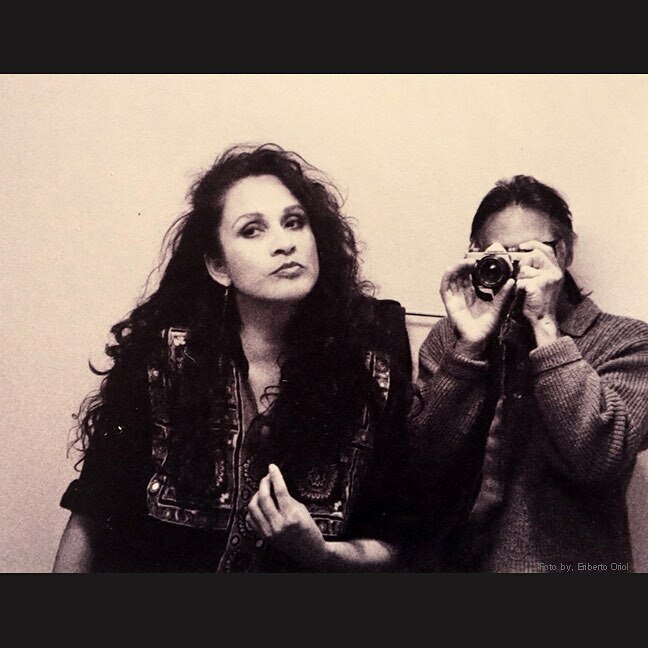 In addition to expanding his internationally recognized portfolio of photographs of LA Latino street life, street art and graffiti, a talent he would later pass down to son Estevan, he and wife Angelica Gonzalez-Oriol are enthusiastic, proactive supporters of the local art scene, which led them to curate the first major exhibition of graffiti art in Los Angeles in 1989. In addition to the recognition the Oriols received from the Los Angeles City Council for the show’s contribution to the community and the praise from numerous media outlets, The Museum of Contemporary Art, Los Angeles acquired a featured artwork for its permanent collection. 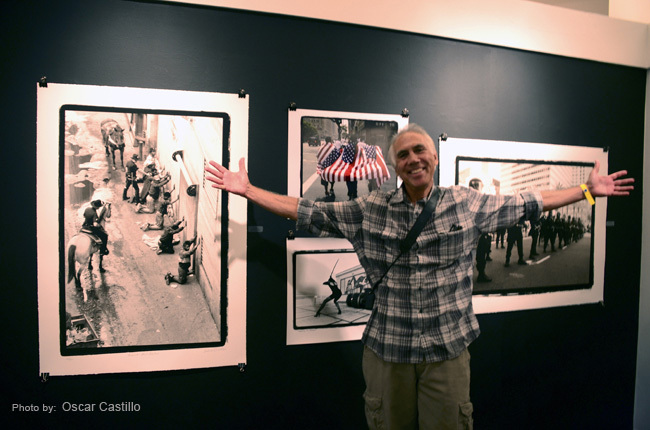 Select galleries that have exhibited Eriberto’s work to date include Carmichael Gallery, Los Angeles Chinese American Museum (CAM), Crewest Gallery, Los Angeles and Anno Domini, San Jose, while commercial projects have ranged from work for the NBA, Nike, Vans and T Mobil to Jokerbrand, LA Metro, Altamont Apparel and Warner Bros. In addition to featuring in Los Angeles: Portrait of a City (Kevin Starr, David L. Ulin, Jim Heimann, TASCHEN Books, 2009), Eriberto and his work have been profiled in The Los Angeles Times, LA Weekly, Daily Telegraph, Downtown News – Los Angeles, Vogue Australia, Mass Appeal, tasj magazine, Swindle, Thrasher, Hypebeast, Rebel Ink, Juxtapoz, 38 Timez, Oversight, Warp, Scratch, Rime, Fader Magazine, Format Magazine and Freshness Mag, amongst numerous other national and international print and online media outlets. He currently lives and works in Los Angeles.